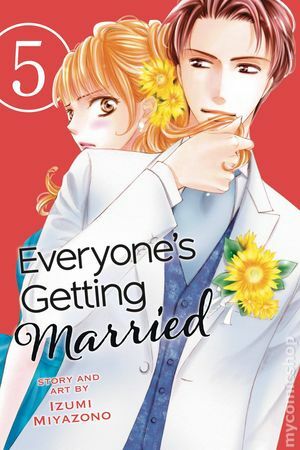 (W/A/CA) Izumi Miyazono Successful career woman Asuka Takanashi has an old-fashioned dream of getting married and becoming a housewife, but popular TV newscaster Ryu Nanami would rather die than ever get married. Akito Kamiya has found out Ryu has been dating Asuka away from the public eye, but he hasn't given up his pursuit of her. Ryu means to keep Kamiya in check, but instead a direct confrontation erupts between the two of them! For mature audiences. Cover price $9.99.